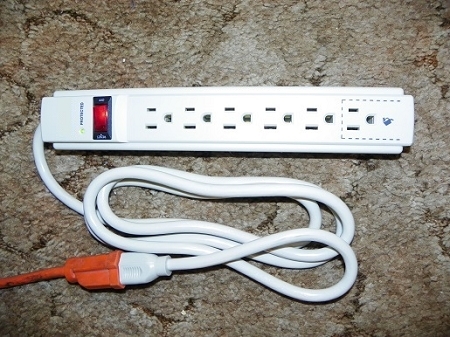 Introducing the SURGE PRO III (THREE), a corded outlet 790 JOULE Surge Protector that is HIGH QUALITY, 790 Joules, and much better than the brands you buy at the local hardware store. It can be used with any normal AC (120vac) Outlet to protect your Wood Pellet Stoves, Corn Stoves, Pellet Inserts, Pellet Furnaces and Boilers, Tablets, Notebooks, I-Phones, Smart Phones, Computers, or any small household appliance. You can use with any number of small appliance outlets up to six (6), the last outlet can be used for a battery charger. Indicator lights show Protection (green) and Grounding On/Off (red) Connections. 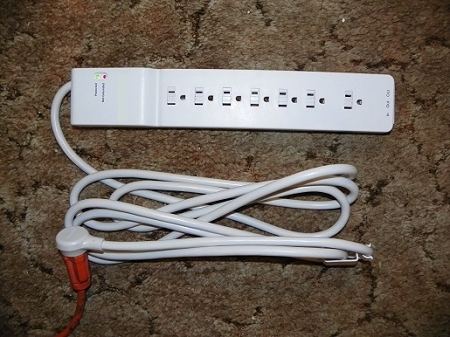 Getting 790 Joules of protection is is far better than the cheap hardware store surge protectors containing only 250 Joules or less protection. Limited Lifetime Warranty means as long as you own your device up to $20,000 value coverage. Check out our other Corn Stove items listed in our 3dcart Store. Visit My 3dcart Store: www.cornpelletstoves.com or call us at 1-319-298-0500. 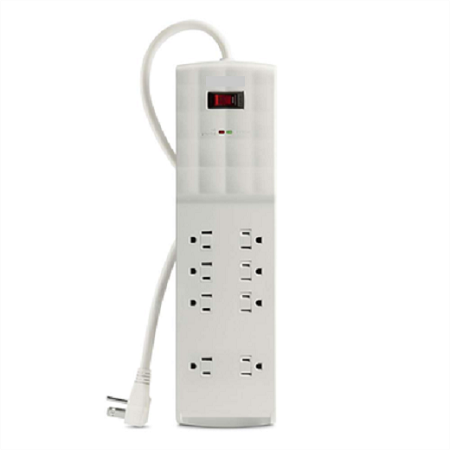 SURGE PRO V (FIVE), 3500 Joules, $44.50, 8-Outlets in 2 columns, 2 telephone jacks, 6-Foot Cord, this is the ......... BEST SURGE PROTECTOR MADE in the USA, $39.50...., Equipment Protection $300,000 wowie!!! ... see 3rd picture. There is an EQUIPMENT PROTECTION Warranty for each Model that varies from $20,000 through to $300,000. 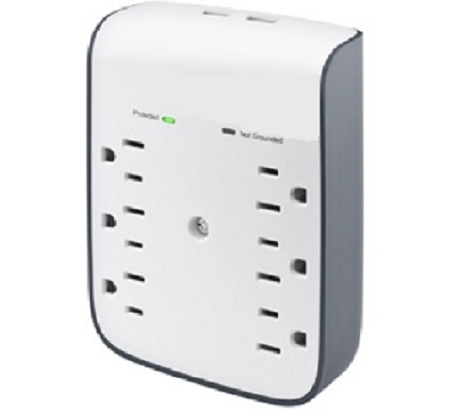 This means that the manufacturer will repair or replace any equipment damaged by a surge, spike, or lightning strike while properly connected to this surge protector. The amounts covered per model are: Model I, $75,000; Model II, $25,000; Model III, $20,000; Model IV, $75,000; Model V, $300,000. The Limited Lifetime Warranty is for as long as you own the device proof of purchase required. Customer may have it shipped by either by USPS, UPS, or Fedex weight of item aprox 1/2 lb with the package included is 1 lbs. Remember to check our Ebay Store for other related items. For questions or comments contact: Corn Stoves of Iowa, Corn and Wood Pellet Stove Dealer, 1312 1st Avenue, N.W., Cedar Rapids, IA 52405, 319-298-0500, FAX: call us to turn-on fax, E-mail: to submit a QUESTION, just click on the above tab CONTACT US at the top of the page, or just call us.